(HOSTAL GALAPAGOS) Private room + I take a bath private, kitchen facilities, Area social TV, stereo, telephone USD 10.oo per day. If you want it, we make..... READ MORE. 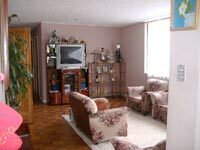 We highly reccommend a homestay for those people who is interested about people. 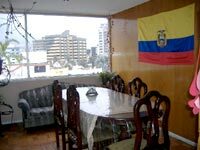 Staying a local hospitable family, you will be able to be in touch with Spanish, you will taste different flavors and you will get a cultural rewarding. Our Galapagos Spanish School offers lodging with hospitable Ecuadorian families. Families are located in the most peaceful and secure areas of the city and are close to the school. All of these houses are within walking distance,( five minutes) or ten minutes by bus. Host families each have approximately four to six members. The parents of these families are professionals and they have a very high cultural level. The houses or apartments are big and comfortable. You will be lodged in a private bedroom. Included are two meals a day and laundry service. These families have lodged students for many years and are delighted to share their customs and culture with our students. Living with a family is advantageous because it not only minimizes the tuition costs but the constant and continuous exposure to Spanish reinforces the daily lessons. The school takes charge of making the necessary arrangements with the family so that your stay is very comfortable. 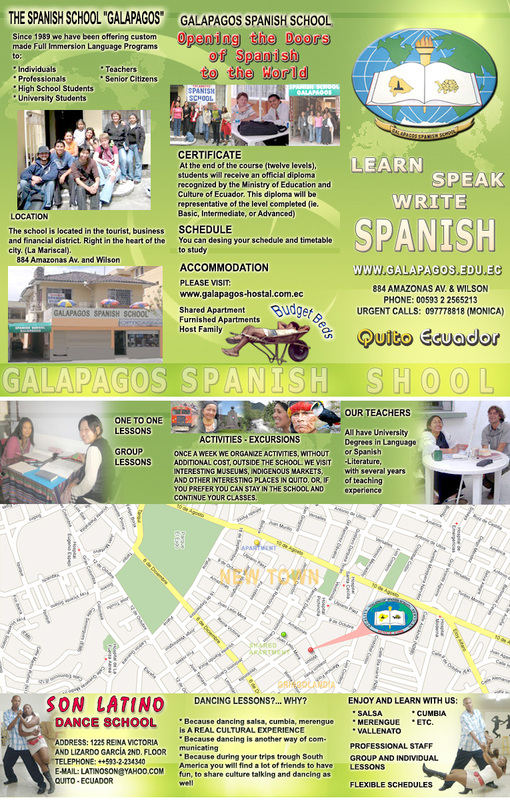 Expand your spanish language skills learning with Galapagos Spanish School, a well stablished and accredited language School in South America, Quito Ecuador.